Somerset Collection is one of several newly-designed Disney Stores to open across North America in 2014, offering interactive and magical experiences for Disney fans of all ages. The first 500 Guests to attend the opening celebration on Saturday, May 31, 2014 will receive a FREE GIFT and an opportunity to meet Mickey Mouse and Minnie Mouse in the Grand Court from noon to 4 p.m. 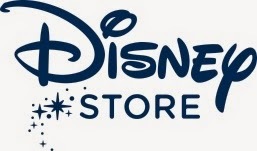 The Disney Store at Somerset Collection will create “Magical Moments for Guests of all ages” through storytelling neighborhoods featuring a Disney Princess Castle, magical trees, and the Disney Store Theater featuring the latest Disney entertainment, as well as a custom skyline with iconic Disney storytelling scenes and local landmarks.